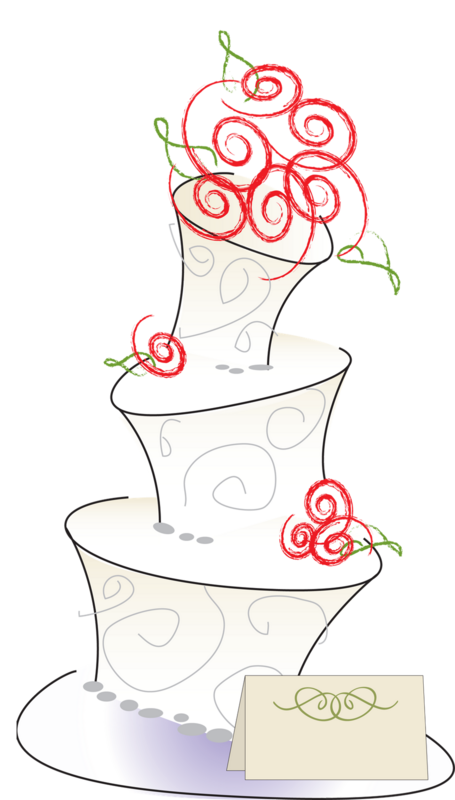 eridoodle designs and creations: Wedding cake time! I am sure there are several of you either making wedding plans or are scrapbooking your wedding from 15 years ago. Here is my take on a whimsical wedding cake with swirly red roses and a place card for the bride and grooms name. This cake is quite tall and can just about span the height of a 12 X 12 scrapbooking page. It's a PNG format with a transparent backgound. Right mouse click and grad this eri-doodle freebie. Poke around my blog for much more free stuff. I post just about daily so make sure you come back and see me.